​A passion to share specialist knowledge and skills in the treatment of migraine, Professor Tissa Wijeratne's new venture, Mastering Migraine Management, provides healthcare professionals with the latest clinical advances to improve patient lives. The study found the number of patients affected by debilitating headaches has substantially increased globally in the past 25 years, and it is imperative clinicians with neurological expertise can meet this growing need. 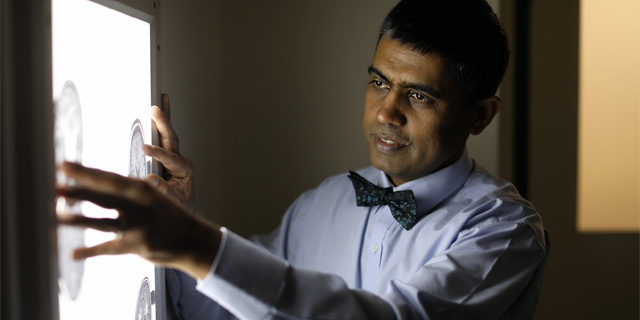 "We have approximately 500 neurologists practicing in Australia, and there are more than five million headache suffers and this number is growing year on year," Professor Wijeratne said. "Headaches are worse than any other condition, when it comes to disability, and people often suffer in silence," he said. As the Chair of the Global Policy and Advocacy Committee for the World Federation of Neurology, Professor Wijeratne believes educating primary healthcare physicians in the latest evidence-based therapies for migraine management represents the best solution to meet this patient need. "General practitioners play a pivotal role in helping many of these patients to regain quality of life and it's important, as experts in the field, we share our knowledge and passion for the treatment of migraines," Professor Wijeratne said. "There are more than 43,000 GPs in Australia and we can educate them with a toolkit to recognise and meet the basic needs of many patients who experience migraines," he said. Mastering Migraine Management is a highly interactive RACGP accredited e-learning course designed for busy healthcare professionals to upskill in their own time and at their own pace. The course covers the latest strategies for the diagnosis of headaches, highlights "red flag" symptoms and differential diagnoses, and provides pharmacological and non-pharmacological treatments for managing patients experiencing headaches. The course is accessible across any smart device including a mobile phone, tablet, or computer and learning units are structured to logically build a solid foundation of practical knowledge which can be immediately assimilated into daily practice. "Practicing medicine is a wonderful opportunity as you can change the lives of many other human beings and you can do it for a long time," he said. "When you give, you value every moment, and medicine, for me, was really the best way to help many people and have a positive influence on improving lives." Born and raised in rural Sri Lanka, Professor Wijeratne first became active in stroke research and treatment in New Zealand during his postgraduate training in medicine and neurology. In Australia, he continued his research at Western Health and the University of Melbourne and is constantly inspired by brave and courageous patients who wish to participate and help others. "Our patients are the true heroes," he said. "We may not be able to solve everyone's problems, but we can ask them to participate in translational research programs which helps others, and it's very rare to find someone who doesn't want to help." Professor Wijeratne is inspiring others to give back for future generations and collaborated with a team of young dynamic neurologists and neurology advanced trainees in the preparation of Mastering Migraine Management. "We practice medicine now based on the ground-breaking work of others, and now I want to do my part and inspire others to give back to improve patient lives," he said. Professor Wijeratne also plans to develop an online e-learning course aimed to educate patients experiencing debilitating headaches. For more information or to enrol in Mastering Migraine Management visit http://mdhs-study.unimelb.edu.au/short-courses/mms-short-courses/mastering-migraine-management/overview.